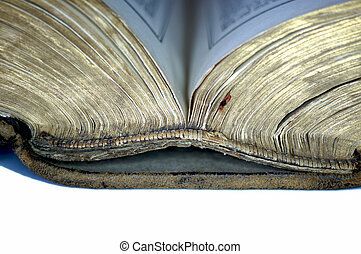 Curled bible page. 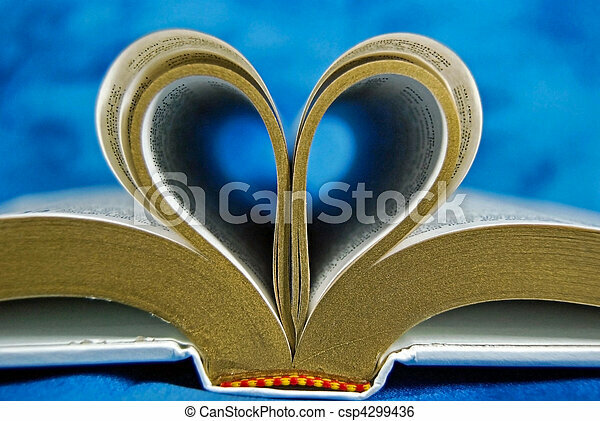 Bible page curled in a heart shape. 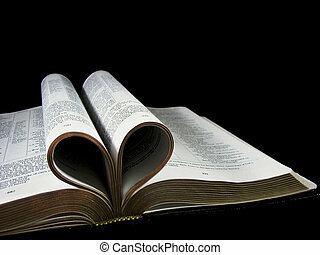 Bible page curled in a heart shape. 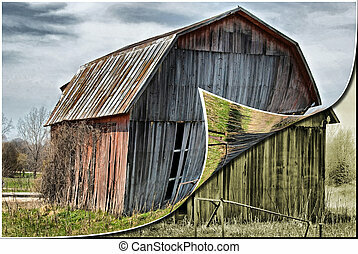 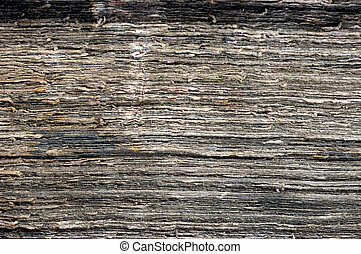 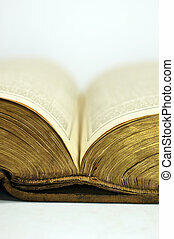 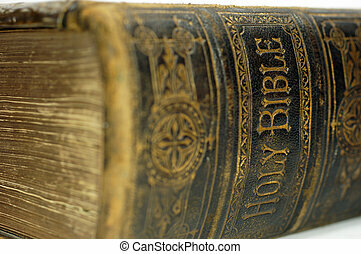 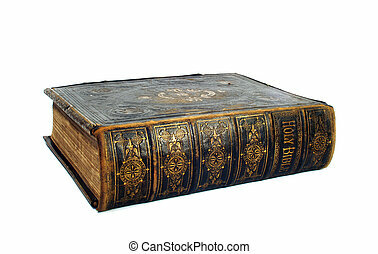 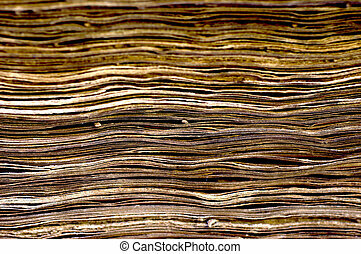 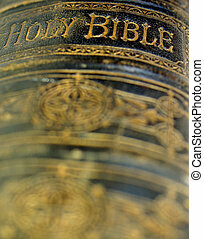 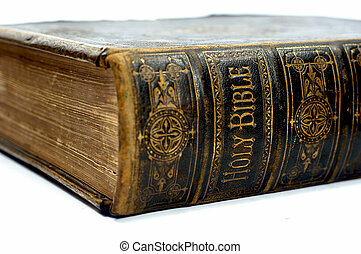 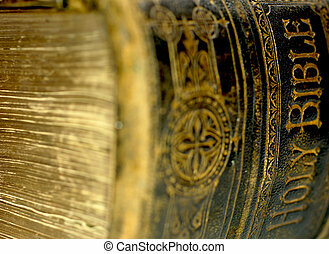 Close up shot of the spine of hardback old bible with the words "Holy Bible"
Old barn in HDR with curled page effect. 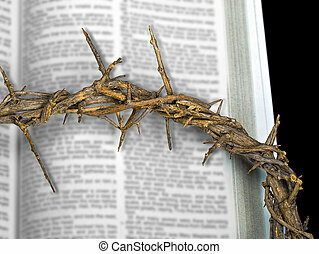 Easter Crown of thorns on blurred page of Holy Bible. 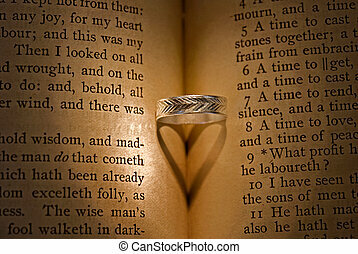 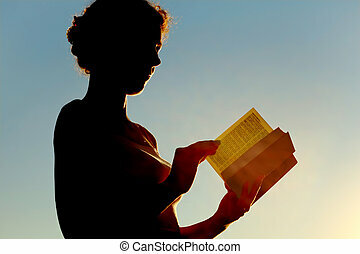 Ring on Bible creating an heart shadow. 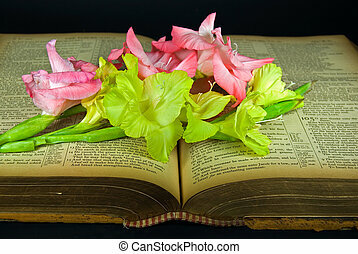 Green and pink gladiolas on old worn Bible. 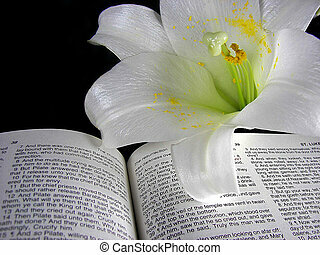 Close up of an Easter lily on a Holy Bible. 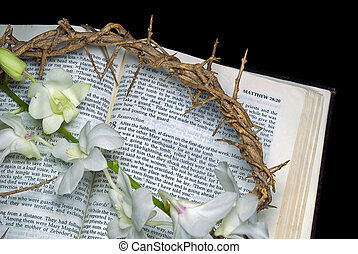 Crown of thorns with orchids on Holy Bible. 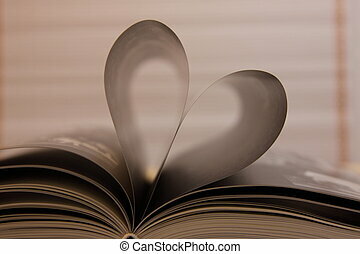 Pages of a Bible curled into a heart shape. 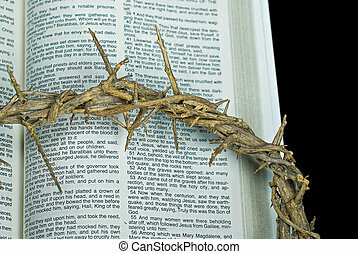 Crown of thorns on a Holy Bible. 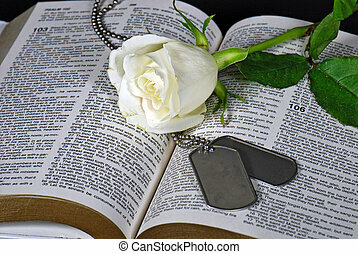 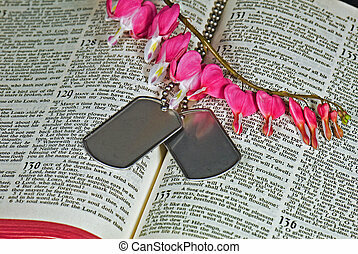 White rose and military dog tags on a Bible.